Follow your heart and dreams to a holiday on Mauritius and the Tamarin beaches South of Saint Louis and Flic en Flac, Tamarin is perfectly nestled on the west coast of Mauritius. A choice destination for a seaside holiday, this location offers magnificent views of turquoise waters and the vast mountains of the Morne peninsula. 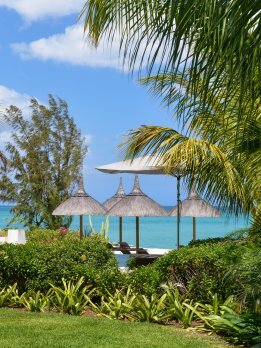 Choosing a holiday at Tamarin is to choose guaranteed, uninterrupted peace and quiet, far from the tourist chaos of other Mauritius destinations. Tamarin is actually a fairly residential area, promising a peaceful and relaxing feel for your summer holiday. For your Tamarin rental, Pierre & Vacances offers a warm welcome in its Horizon Esplanade and Horizon Belle Crique hotels. The Horizon Esplanade hotel provides the ideal accommodation with its chic and comfortable apartments furnished with both lounge and kitchen. It is simply ideal for a holiday apartment rental in Tamarin with your family or friends. Located right on the beach, these apartments have superb views of the sea from every room. You are also really spoiled by access to a tropical garden and outdoor pool! As for Horizon Belle Crique, the vibe is all intimate luxury. This exclusive hotel will be especially loved by couples and guarantees you an elegant base for your stay that is private and restful. A personalised service, infinity pool, breathtaking views, peaceful environment...now that's an unbeatable cocktail for your holiday rental at Tamarin! Make the most of your excellent location during your cheap holiday at Tamarin to explore the natural wealth of Mauritius. The coral barrier reef is an inviting adventure land for those who fancy trying diving or even just snorkelling, as well as glass-bottom boat trips. You will also find a wealth of watersports nearby for you to try your hand at. From sailing to fishing and kitesurfing, there's something here for everyone. Why not indulge in the ultimate dream of swimming with dolphins? This once-in-a-lifetime experience will make you the envy of all back home! And of course we mustn't forget the other trips on offer, like the Black River Gorges National Park. Mauritius and Tamarin are the guaranteed ideal location for your holiday! An ideal location in the centre of Tamarin with its shops and restaurants. The calm of a beachfront residence located in a residential area. Luxury apartments with magnificent sea views. The price shown is per accommodation, for a Apartment Standard 3 bedrooms, 6 people from Tue 30 Apr to Tue 07 May 2019 .